We are one of the well-distinguished companies in the market that is into manufacturing and supplying VPSA Based Biogas Purifier. The offered range is manufactured by using quality material. Our company is the major in offering Biogas Purification System to the clients. Offered range is designed and manufactured in accordance with national standards using best quality raw material under the strict supervision of professionals. 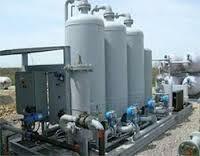 Biogas Purification System is widley used for purifying biogas.